GRACE – Analysis of funding programmes for citizens and communities » EnercitEE Blog - EnercitEE is a European project aiming at enhancing the understanding of Energy Efficiency among different stakeholders and improving the respective local and regional policies. In Germany and especially in Saxony there are many funding programmes which support the energy efficiency of citizens and communities. Within the EnercitEE sub-project GRACE three funding programmes will be analysed in detail. The aim is to find out the effect of the programmes in that way that we are able to make a statement how many CO2 emissions respectively energy is saved with 1 € out of the funding programme. 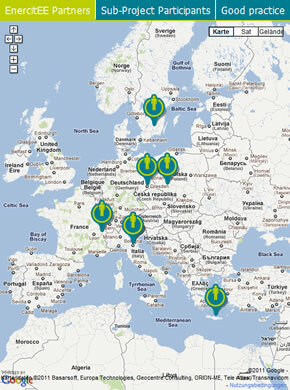 One of the selected programmes is the Saxon Passive house programme. It is part of the Saxon Energy and Climate Protection Programme. The Passive house programme supports builders of passive houses with a grant of 100 €/m² based on the energy reference area. 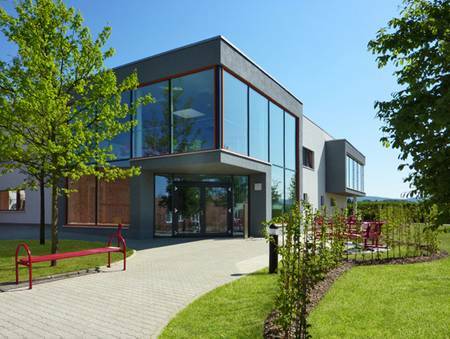 For refurbishment of buildings with passive house components the beneficiaries get a grant of 130 €/m² energy reference area. Both grants are non repayable. 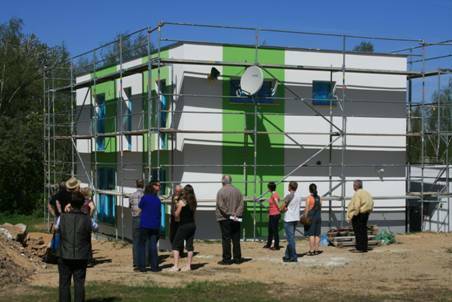 In Saxony the Passive house programme was used by 136 beneficiaries since 2007. 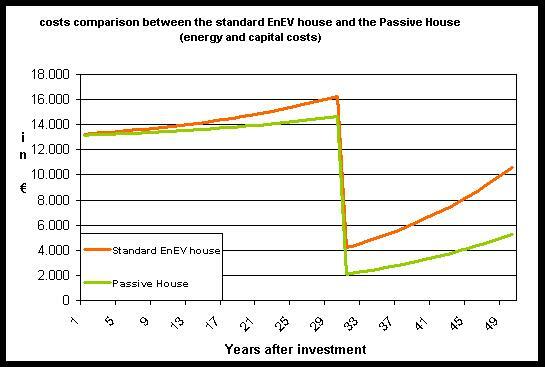 In comparison with the standard EnEV building the passive house saves much more energy. The EnEV house is a standard in Germany. All builders of new houses have to follow this regulation. An amendment of this standard is planned for 2012, which means stricter rules for future homeowners. In the diagram below, there is a comparison between an EnEV house of 2009 and a passive house with 150 m² each. In addition it is assumed that the rate of energy price increase has a level of 5 % per year. All in all the beneficiary saves more than 20,000 € until year 30 after building and nearly 90,000 € until year 50 after building the passive house in that scenario. On a study visit tour during the “Day of renewable energies” in Bautzen on 28th April 2012, which was organised by Bautzen Innovation Centre, the participants had a look at three different passive buildings: The POLYSAX training centre, a single family passive house and the sports shop Intersport Timm in Bautzen. POLYSAX Training Centre is an educational establishment for apprentices in plastics industry and students for industrial engineering. The passive house was opened in December 2010. Apprentices and students find there the most modern technologies on an area of 1,000m². The main energy source is a geo-thermal heat pump. 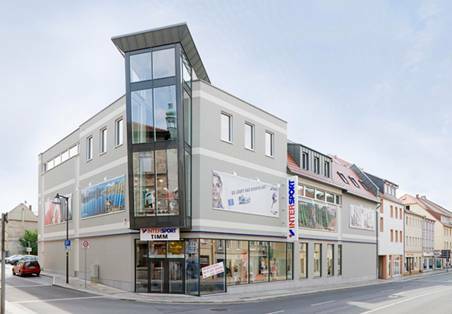 Intersport Timm (shop for sportswear) is the 2nd commercial building in Germany and the 1st commercial building in the Free State of Saxony, which was build as passive house. It was opened in 2008. The sports shop has a sales area of more than 1,000 m² with heating costs of 150 € per year. The main heating source is a geo-thermal heat pump. There are also solar panels on the roof of the building. The visited single family passive house in Bautzen is still under construction, but the family is already living there. The flat has an area of 137.5 m². For the future it is planned to install solar panels for producing enough energy for the whole house.